Meetings between Unifor, the Canadian workers union, and General Motors began last month. Unifor calls the meetings “constructive negotiations as the two work toward finding ways to preserve jobs at the Oshawa factory in Ontario. 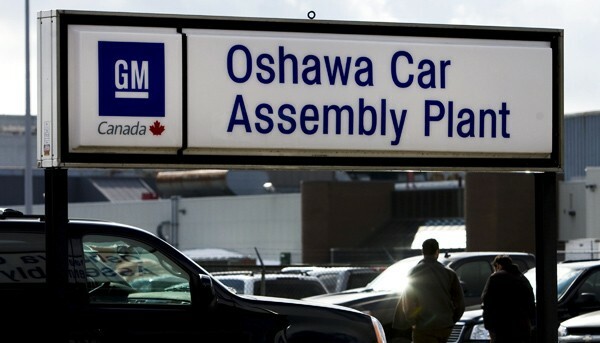 According to the press release, the union doesn’t believe General Motors has any intention of having vehicle production at Oshawa beyond December 2019. However, Unifor is hopeful GM will transform its operations at the facility to keep some hourly employment at the factory. What kind of work that would be is unknown. Unifor and GM will continue talks over the next few weeks with the union’s highest priority being saving as many jobs as possible. Negotiations began February 25 and Unifor has since suspending its media campaign against the automaker. At first, the campaign focuses on getting GM back to the negotiating table. However, once that proved unlikely, the union took a much more aggressive approach. Union members blocked access to GM’s Canadian headquarters and ran a critical TV commercial against GM during most recent Super Bowl. The ad was so egregious GM threatened the union with legal action if it didn’t suspend airing the ad. Talks of a general strike lost steam in last month, which was also when the union was hit with a cease and desist letter due to illegal strikes. It’s unclear if the union will continue working with UAW to tackle issues with General Motors. The UAW has joined Unifor in calling for a boycott against Mexican-made GM vehicles such as the Chevrolet Blazer. You can do it Unifor save the jobs.